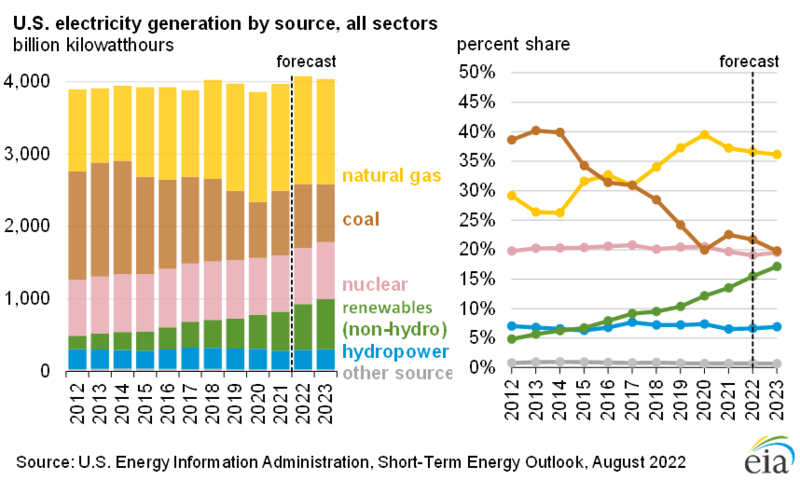 EIA’s latest “Short-Term Energy Outlook” report was released on April 9, 2019. It can be found at: https://www.eia.gov/outlooks/steo. The SUN DAY Campaign had issued its above-cited forecasts most recently on March 4, 2019. See:https://electricenergyonline.com/news.php?ID=752504&cat=;91;90&niveauAQ=0 .